Teenagers Accuse White Woman In NYC Deli Of Being Trump Supporter Then ATTACK! The victim entered the establishment on December 2nd and it wasn’t long after that the teens began to curse at her. Witnesses claim to have seen the boys also throwing items from the store at the woman. When she threatened to call the police, they began pushing her around. Eventually they stole her phone and purse and ran off. 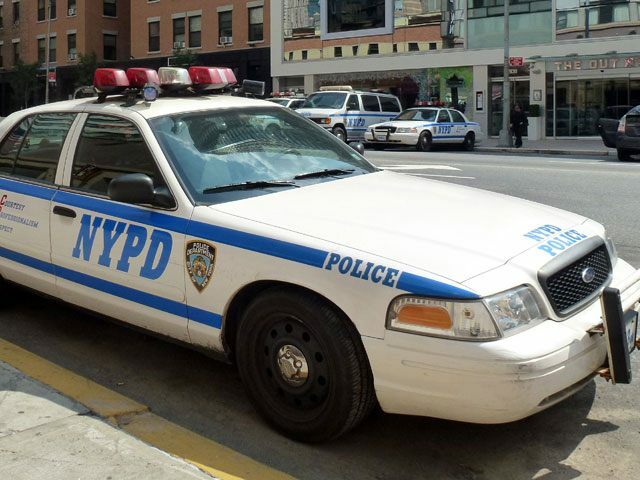 Nobody has been arrested in connection to the attack and the police don’t have any suspects, but the NYPD’s Hate Crime Task Force is said to be investigating the incident. If you are in the area and see the men matching the following description, you are advised to call Crime Stoppers at (800) 577-8477. All calls are confidential. Both men are Hispanic and around 17 years-old. One is around 5-foot-8 and 160 lbs. with short hair and the other is 5-foot-9 and also 160 lbs. Unbelievable. There is absolutely no excuse for this kind of behavior. Where are their parents? They deserve to be slapped upside the head with several different kinds of shovel. How poorly do you have to raise your children for them to think that this is acceptable behavior? If I even so much as thought of doing something like this to someone, my mom would have beat me to within an inch of my life and made me apologize for the thought. Not only should these boys be punished, their parents should be fined for raising menaces to society. Is there a fine for that? There should be. These boys are nothing but thugs who are just looking to attack people just because. The fact that they’re specifically targeting white people (and a woman at that, because they’re cowards) means their parents raised racists. Disgusting. I hope they’re caught soon.